A close relative of eastern white pine (Pinus strobus), this medium to tall evergreen tree inhabits the mountains of western North America. 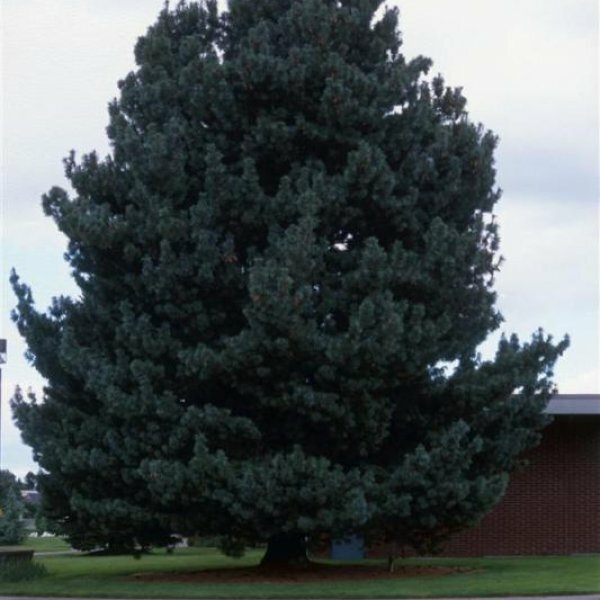 It is the state tree of Idaho. 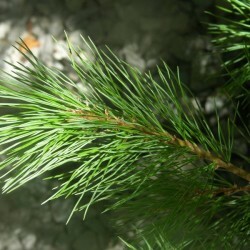 The long, supple, blue-green needles of this pine occur in bundles of five on reddish-brown, hairy branchlets that age to deep brown or gray. In spring, trees produce tiny male cones and large, cylindrical, often curved female cones near the branch tips. 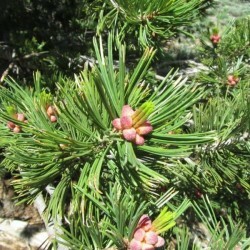 The clustered, dangling female cones are sheathed with fleshy green scales that turn woody and buff-brown as they mature. 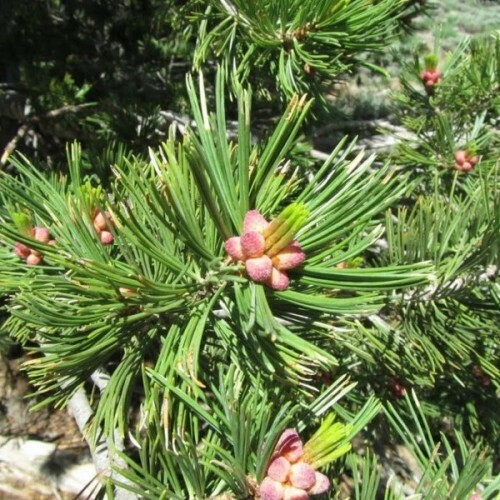 Two-year-old female cones open their scales to release winged seeds, and are shed soon thereafter. 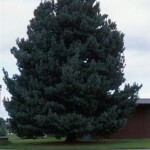 This stately, fast-growing, straight-trunked pine develops a narrow conical crown with short spreading branches. 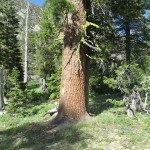 The gray to orange-gray bark is divided into several-sided plates.